There are $V-1$ pieces, each with an identifying symbol. The board is a graph with $V$ vertices and some number of edges $E$. The idea is to move around the pieces so that each piece's symbol matches the underlying vertex's symbol. You can only move a piece if it is connected to the empty vertex by an edge. One of the vertices is blank (no symbol) since there is one more vertex than pieces. Is there a name for this type of puzzle? Since you put the question into a graph theory context, the most appropriate name for these games might be "(Labeled) Pebble Motion Problems", those being the generalisation of the 15 puzzle onto arbitrary graph and piece configurations. I posted a comment about this, but I think I'll change it into an answer. 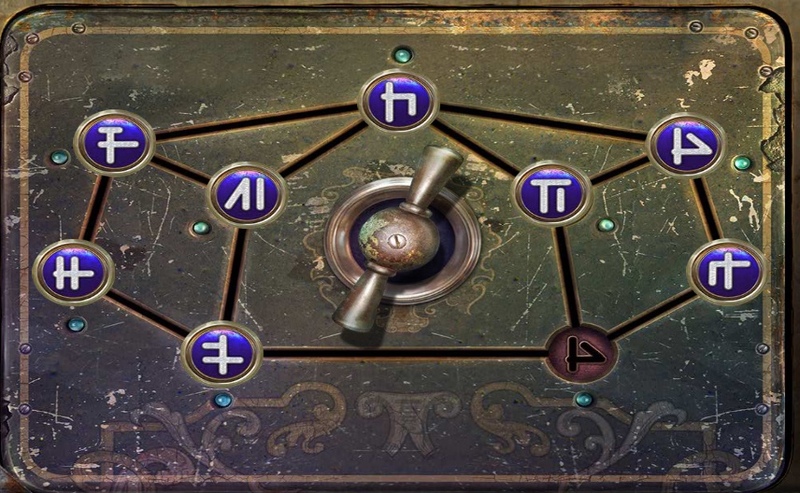 I don't actually think there is a "name" to this type of puzzle, but I'll show one specific example of this puzzle where the community has adopted a name for the puzzle. That game specifically being the Nancy Drew game Labyrinth Of Lies. In the game, a slightly different version is used, with $V - 3$ tokens instead of $V - 1$ — but I believe that my answer should still hold. 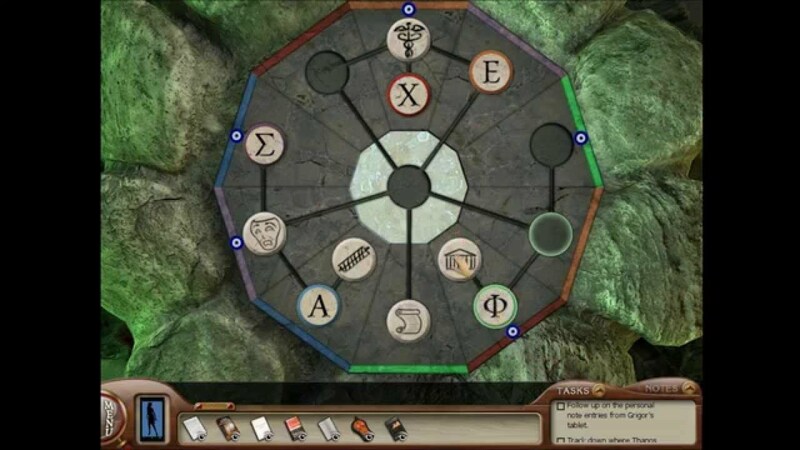 In many of the 'walkthroughs' of this game, the puzzle is referred to as "The Token Puzzle" or "The Sliding Token Puzzle". I'm sure that there are many other games that use this type of puzzle, but this is the one I could think of off the top of my head. Not the answer you're looking for? Browse other questions tagged graph-theory puzzle-identification or ask your own question.